Behold, Billy Reid’s spring/summer 16 collection. Or most of it, anyway. The southern designer’s clothes contained some of our favorite footwear at #NYFWM, including shoes with their backs made to be heeled down. But who are we kidding, we loved the whole thing. The long jackets, loose fits, Cuban collars, hypnotic patterns, gardener-length bills on baseball hats–and especially that yellow coat above and the green vest at the end of this post. Check out our backstage interview with Reid here, where we talked about his vision for this collection and which music he played in the studio while designing it. Billy Reid was one of the designers we looked forward to meeting most at #NYFWM, whose stuff we love (both his excellent every day clothes and subtly radical runway collections) and whose whole perspective is on-point, culturally and socially. Click here for images of Reid’s spring/summer 2016 collection. We caught up with the designer backstage before his runway show at David Zwirner Gallery in Chelsea. He told us all about his collection and which music he listened to while designing it–and opened up about his special connection to Charleston, SC, and being moved to take action after the tragic church shooting there. 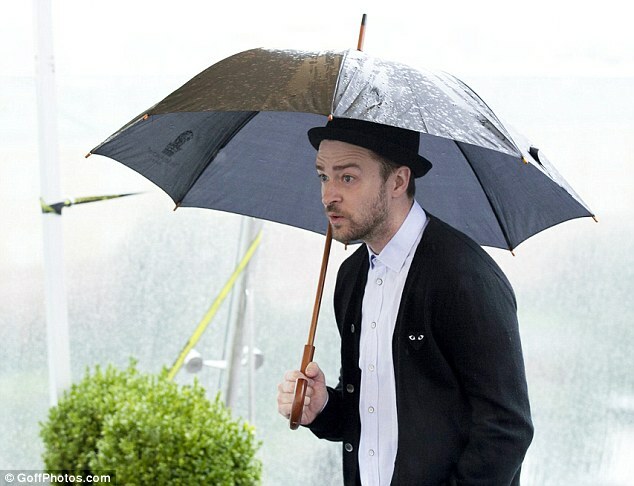 Five guys who look great with an umbrella: George Clooney (as in The Good German above), Gene Kelly, David Beckham, Barack Obama, Justin Timberlake. For some of us the umbrella is a necessary evil—one left all too often, unfortunately, in cabs, restaurants and cocktail bars. But in the right hands, an umbrella is also a thing of refinement. Keep reading for our guide to pairing the foul-weather essential with jackets and accessories that’ll help you dial in a smart, practical look that’s right for you. As part of our fall 2014 Men’s Shop Catalog, we profiled 4 real men of style and substance. Here, award-winning menswear designer Billy Reid. The best clothing designers approach their craft like a mix of art and science: part aesthetic sensibility, part structural engineering. Louisiana-born Billy Reid excels on both counts, offering meticulously crafted, tangibly soulful classics for men of all ages. Beyond informing our aspirations of what to wear, Reid also serves as a solid role model for how to live. Keep reading for wise words from a man who finds time to coach baseball, sip bourbon and dig Bob Dylan, all while doing the best and most rewarding work of his career.